Cu-11Ni-4Si/10wt.% Si3N4 functionally graded composite of dimension Øout 100 mm × Øin 70 mm × 100 mm was fabricated via centrifugal casting and the mechanical and three body abrasive wear behavior were studied. 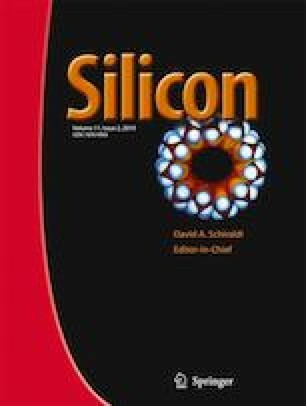 Microstructural analysis along the radial direction revealed high concentration of Si3N4 particles at the inner periphery of the composite, and XRD analysis confirmed the presence of introduced reinforcement. Highest micro-hardness (207 HV) was observed at the inner periphery of composite having highest concentration (53 vol.%) of reinforcement particles and the inner zone displayed higher tensile strength (425.58 MPa). Abrasive wear test based on L27 orthogonal array, was performed only at inner periphery based on the mechanical behavior. Signal-to-Noise ratio and Analysis of Variance were performed to analyze the influence of parameters such as load, speed and time on wear rate. Results showed that applied load had the highest influence (60.45%) on wear rate followed by speed and time. Scanning electron microscopy analysis was carried out on worn samples and was observed that wear changed from mild to severe as parameters were increased. This composite is suited for automotive applications where the improved abrasive wear characteristics can be utilized to a greater effect.